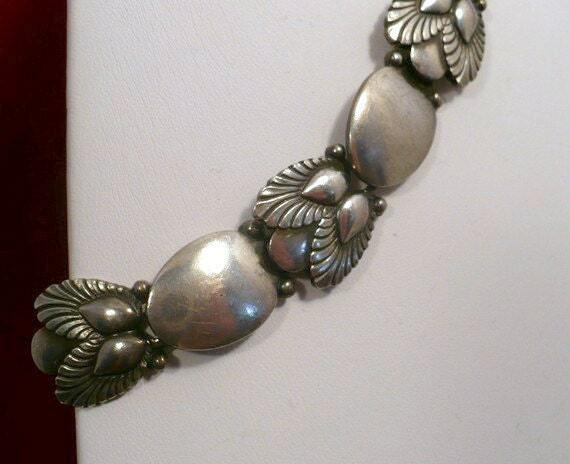 Rare Georg Jensen link bracelet, dates pre-1945. 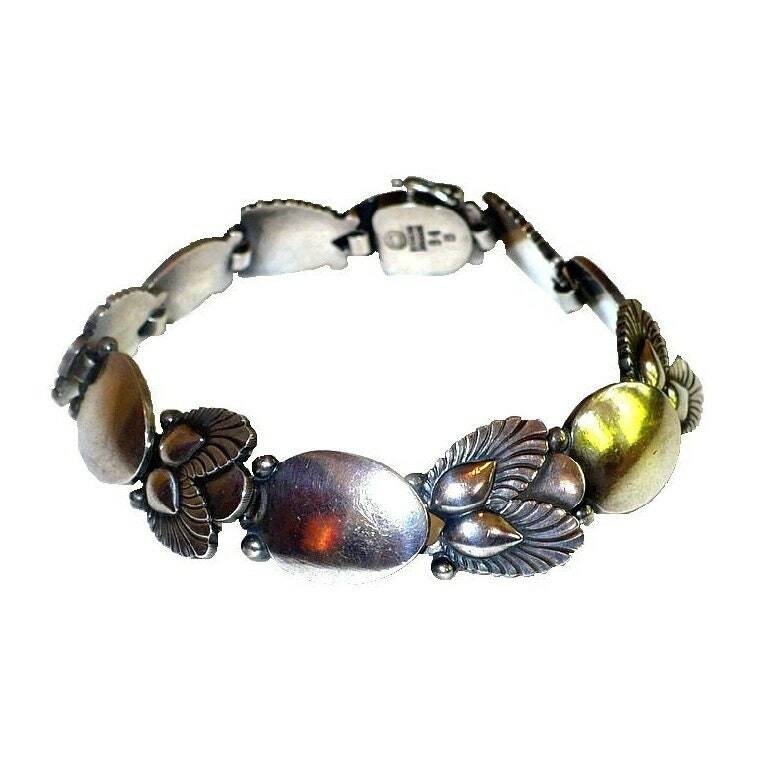 (note: pre-1950 bracelets are hardly ever available, yet the market offers post 1950 pieces frequently, so this is a rare opportunity for you to find one!) This is an older Jensen design, so it is more solidly and strongly constructed than later pieces. 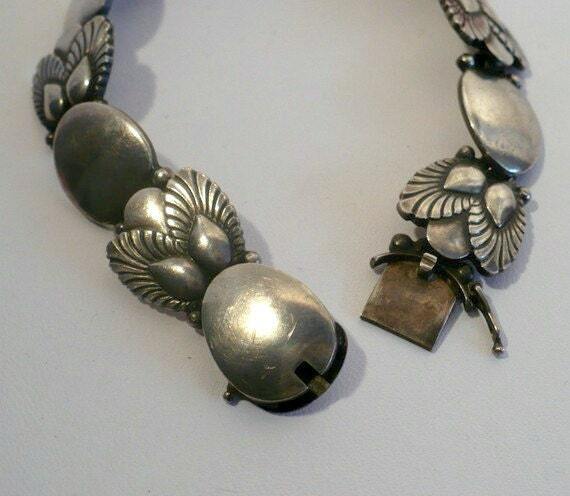 This Georg Jensen bracelet features all twelve of the original links joined together with a discreet safety clasp. 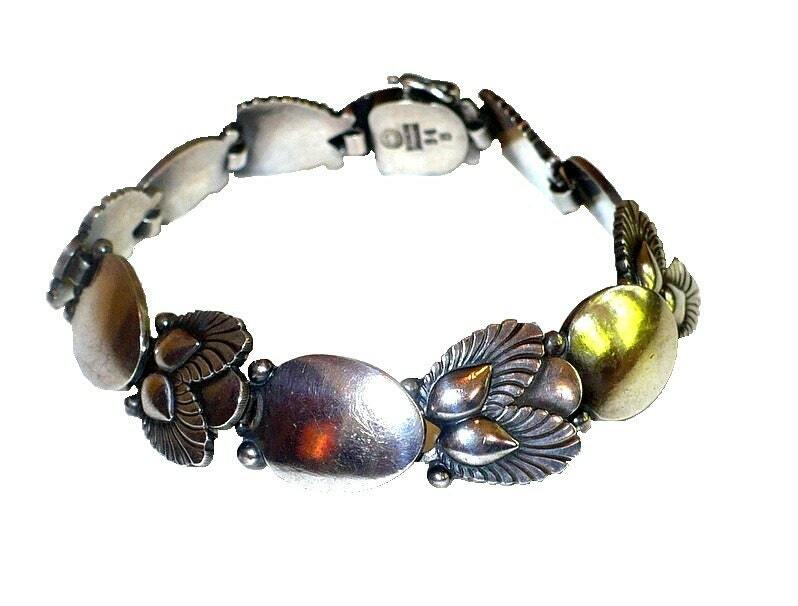 The Hallmark on this bracelet with accompanying marks dates it to 1945. 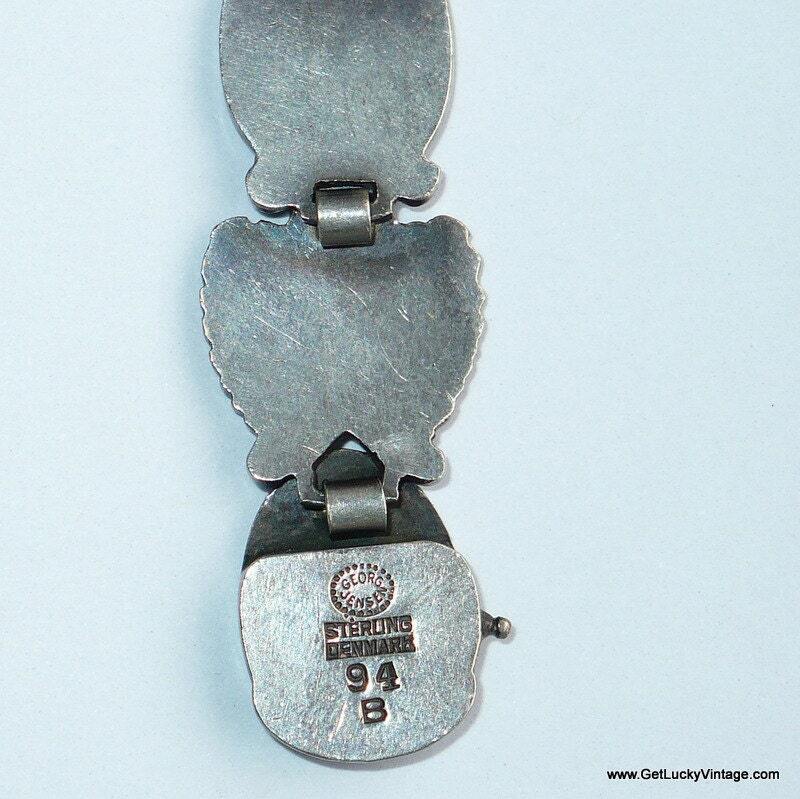 Note clasp is complete and in full working order. All photos are not to scale and may be enlarged to show details.